It’s not Canada Day, but our pride to be Canadian after watching this video sure makes it feel like it. There are some pretty amazing things you can do with a drone, and that includes capturing 4K video throughout British Columbia, Alberta, and the Yukon. It’s what one YouTuber, Man and Drone, did while driving 15,000 kilometres across Western Canada to shoot some of the most spectacular natural footage we’ve ever seen. 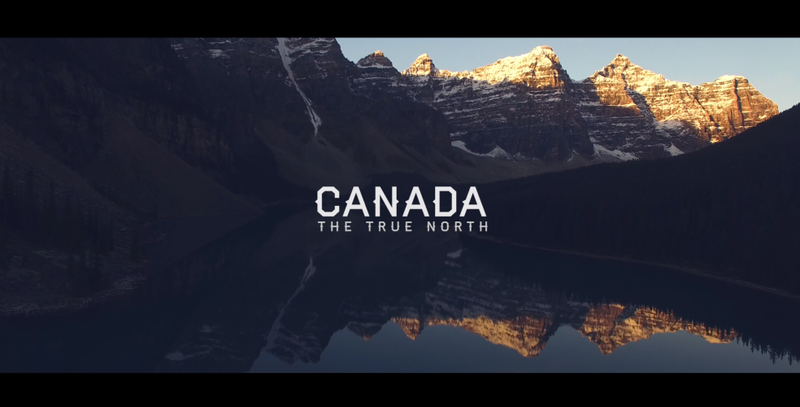 From glaciers to crystal-clear lakes, rocky peaks and the Northern Lights, one man and his drone shot “Canada: The True North, Strong & Free”. He used the DJI Phantom 3 Professional Drone for the flying and a Nikon D5300 with an 18-200mm 3.5-5.6 VR Lens for the photography while filming during August and September of this year. “The Vision. Go on insane hikes in Canada and Drone the heck out of the places, with the aim to create one insane drone montage. I really didn’t know too much about Canada having never been there before,” said the man, who just goes by the name of Will, in a blog post. Will drove all over Western Canada in a rental car, sleeping in the car and charging his devices at Starbucks locations. A total of 17 amazing landscapes are featured in the short video, and listed below. Golden Ears Provincial Park, B.C.